Holding a Bachelor of Fine Arts (Specialized Honours) in Dance from York University, Associate teaching diplomas with the British Association of Teachers of Dancing in Ballet, Jazz, Tap and Modern, as well as teacher training in children’s yoga, Annie is a versatile dance artist and ACTRA member. Professionally, Annie has collaborated with artists including Xing Ban Fu, Courtnae Bowman, Emily Cheung, Jeff Dimitriou, Danny Grossman, Ame Henderson, Laurence Lemieux, Lopa Sarkar, Veronica Tennant, Rina Signa, and Bageshree Vaze. She is privileged to have worked with the highly renowned artist Tino Sehgal who primarily choreographs his installations within museums including the AGO (Toronto), The Museum of Contemporary Art (Chicago), MoMA (NYC), and the Guggenheim (NYC). few. She also enjoys spending her time dancing at festivals, corporate, and other events. Lachesis, as well as a featured dancer in the instructional Bollywood dance DVD. and Kingston, ON, Annie loves teaching children to adults both recreationally and competitively. Karen grew up in Toronto, Ontario, where she had the pleasure of learning ballet from various ballet studios around Toronto, including the National Ballet School. Over the past few years, she has participated in various dance productions, and including dancing the lead role in the ballet Cinderella. Over the past few years, Karen has also started to explore different genres of dance, most prominently Chinese/contemporary dance. She has performed in different festivals with Little Pear Garden Collective all over the city, and is looking forward to performing in many more with them! 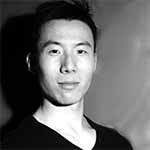 Irvin Chow graduated with a BFA in Dance program at York University. Throughout the years he has danced in projects by: Angela Blumberg, Debra Brown, Susan Cash, Jasmyn Fyffe, Robert Glumbeck, Michael Greyeyes, Terrill Maguire and Yvonne Ng. Irvin has had the pleasure of performing as a part of David Earle’s “Miserere” in the Toronto Heritage Dance project and in TransMigration done by Kaha:wi Dance Theater by Santee Smith. 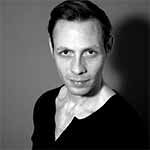 He has performed with Sylvie Bouchard as a part of Dusk Dances and as a part of Julia Sasso’s, “SLoE”. He was recently a part of, Pulse, by, Jasmyn Fyffe, for the Montreal Fringe Festival which won the 2013 Frankie Award for Outstanding Choreography and a part of, No Permanent Answers, for the Toronto Fringe Festival. Irvin is excited to be a new addition to the Little Pear Garden Collective and dancing in their new show, Venom of Love. Carman started dancing at an early age and her passion in dance has kept her grounded throughout life. She is a Chinese dance instructor certified by the Beijing Dance Academy. Besides coaching students for annual performances, she was a guest instructor in the summer camp hosted by Chinese Cultural Centre of Greater Toronto, an annual camp that brings Chinese culture to children adopted from China between 2012-2013. In 2014, she was commissioned to choreograph a Yunnan folk dance repertoire – “The Story of a Bride” – for the Heart and Stroke Foundation annual gala performance and this was invited for encore performance in the Unionville Main Street Festival and Flato Markham Theatre. In addition to a full-time career working with children with Autism, she is currently the co-artistic director of Norman Dance Company, company dancer for Little Pear Garden Dance Company, and a regular guest instructor for the Toronto Yun Dance Group. 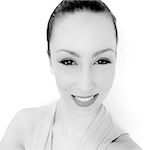 Born in Toronto, Theresa is extensively trained in ballet, jazz, acro, contemporary, hip-hop, modern, artistic and rhythmic gymnastics. She graduated from York with a B.FA honors and B.Ed. She is currently a teacher with the Toronto District School Board. Theresa has competed across North America, Europe, Asia and the U.S. and has appeared on TV shows for TSN, CBC, Raptors TV and City TV. Theresa has worked as a dancer with several sports teams such as the Toronto Argonauts, Blue Jays, and the Raptors Dance Pak. As a company member, some performances with the Little Pear Garden Collective include, the Fortune Food Festival at Harbourfront. Soo-Ryu Dance Festival, the ROM during the Terra Cotta Exhibit and at the Guelph Contemporary Dance Festival. She is truly honored to be apart of such a talented company. Megumi Kokuba was born in Okinawa, the southernmost island of Japan. She studied ballet from the age of two with her inspiring teacher Kikuko Nanjo. After graduating from Junior College in Okinawa, Megumi came across contemporary dance and was smitten. She moved to Toronto in 2009 to train at The School of Toronto Dance Theatre. After graduating in 2012, Megumi has had many inspiring performance opportunities. Among them was Peggy Baker’s Night Garden for Nuit Blanche, Gadfly’s Stygmata and the Duet work Alleluia with Robert Glumbeck for Desrosiers Dance Projects. 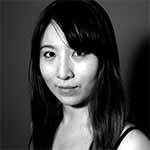 Megumi also had the amazing opportunity to join Toronto Dance Theatre as a TD Dance Intern for the 2012/2013 season and is delighted to be working with TDT since. She recently danced in Eleven Accords choreograph by Christopher House in November 2013. Sze-Yang is a queer east asian dance artist and educator who does not identify with society’s confining definitions of what it means to be a man or woman. At 13 he began training in Wushu Chinese Martial Arts under Sifu Zhang Peng. He finished secondary school with the highest achievement in visual arts of his graduating class. 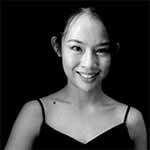 Sze-Yang is a graduate of The School of Toronto Dance Theatre. Post graduation he studied intensively with Xing Bang Fu and Simon Lalonde in Ballet. He has danced with InDance, Earth in Motion, The Little Pear Garden Collective, Menaka Thakkar Dance Company, Newton Moraes Dance Theatre, Xing Dance Theatre, Ontario Ballet Theatre, Hanna Kiel, Jacob Niedzwiecki, Emily Law, Ashley Colours Perez, Sameena Mitta, Simon Renaud, and has worked in creative process with Red Sky. 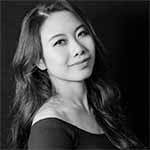 Sze-Yang has also danced in three productions of The Nutcracker as: The Mor: Soloist, Harlequin/Columbine: pas de deux, the Russian and the Mouse King. Sze-Yang has admiration for many movement languages. He is a proud co-founder, dancer, and choreographer for ILL NANA/DCDC a queer positive multiracial dance company that embraces difference as strength. Brandy creates contemporary performances through dance based entry points. Her work has been produced in Canada, Europe, India and the USA in theatres, urban environments, festivals, museums and isolated landscapes. She holds a BA Honours in Theatre with a specialization in Direction and Asian Theatre from York University’s Theatre Program. She has lived between Canada and India for the past 15 years training, collaborating and creating in the traditional Indian performing languages of Seraikella and Mayurbhanj Chhau (dance), Kalarippayattu (martial art) and Rope Mallakhamb (aerial rope). In Canada she works with western approaches to aerial rope work and the bridge discipline of Axis Syllabus to support choreographic creations that are interested in site specific ness and non-traditional audience/performance relationships that base themselves in ritual and participatory structures drawn from the spectrum of her artistic research and practices. She was the resident choreographer at the Bata Shoe Museum in Toronto 2010-2012 where she created large scale, site specific works on the architecture of the building (designed by Raymond Moriyama) and in the public spaces surrounding it as part of her Precipice Project series. She is an Associated Artist with IMPACT (Indian Martial and Performance Art Collective of Toronto) developing and implementing their programming/performances and teaches movement, choreography and performance creation locally, nationally and internationally. She founded Anandam Dancetheatre as an umbrella structure for her performance projects (www.anandam.ca) and is its Artistic Director. She is a triple Shastri Indo Canadian Fellow, a Chalmers Professional Development Awardee, twice shortlisted for the KM Hunter Award in Dance 2009 and 2011 and has had her work supported by the Canada Council for the Arts, Hal Jackman Foundation, CreatiVenture Collective, Bata Shoe Museum, Ontario Arts Council, Toronto Arts Foundation and the Toronto Arts Council. Tia began dancing at the age of 3 and has been in love with it ever since. She is professionally trained in various genres including Ballet, Chinese lassical and Ethnic Dance, Jazz, Modern Contemporary, Hip Hop, Ballroom and Latin. At the age of 9 she began her professional performing career, where she got a rare opportunity to tour with Echo Dance Association across Canada performing at different cultural festivals. Since then she’s performed both locally and internationally including Winnipeg, Montreal, Ottawa, Chicago as well as New York. Brown, Carla Catherwood and Sammy Cheng. Tia holds winning titles in numerous Dance competitions including the Kiwanis Dance Festivals and Stomp Urban Dance Fest. 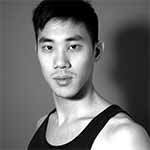 Justin Lui is a dancer and current company member of the Little Pear Garden Collective. He was born in Toronto and began dancing at age 13, and has since trained in Chinese dance, ballet, and hip hop/street dance. He has performed as part of several dance groups, including Norman Dance Company, Nancy Chiu Ballet Studio, VYbE Dance Company, and Only Human Dance Collective. Justin is a recent graduate of the University of Toronto, with an Honours BSc in Nutritional Sciences. Malgorzata Nowacka started performing at the age of 17 in Warsaw Poland. Her formative training background includes ballet at the School of Classical and Contemporary Dance directed by Bengt Jorgen (Toronto), Horton and Ballet with Debbie Wilson (Toronto), the school of Alvin Ailey American Dance Theatre (New York), and five years at The Ontario College of Art and Design as a visual artist (Toronto). She was part of the cast of Polish production of Metro at the age of 17 in Warsaw.. Later, in Canada, she apprenticed with O.M.O Dance Co. directed by Debbie Wilson. Since 1999 until present she continues to be a featured dancer with The Chimera Project (www.chimeraproject.org), a contemporary dance company she created to present her own choreography. With The Chimera Project she performed at some of Canada’s most prestigious contemporary dance contexts including the Canada Dance Festival at the National Arts Centre (Ottawa), as part of Dance Victoria (Victoria), Tangente (Montreal), OFF Festival Trans Ameriques (Montreal), Dancing on the Edge (Vancouver), Dance Works Mainstage Series (Toronto) and internationally at the Lilia Lopez Dance Festival (Mexico). 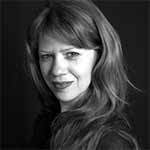 As a dances she worked with choreographers Dana Gingras, Rebecca Todd, Kathleen Rea, Hope Terry, William Yong, Lucy Rupert and toured with Motus O’ dance theatre in Midsummer Night’s Dream and Perspectives. A bold performer, Nowacka “rivets the eye with her charisma” (The Globe and Mail) and has a gift for performing duet works. Her film credits include dancing in Bravo!Fact films I can almost, Lapinthrope with choreography by Kathleen Rea, Dresscode with choreography by Marlee Cragill, You’re It and I’m Right Behind You, two BRAVO!Fact films with her own choreography and performance. Ugai Yui was born in Hiroshima, Japan. She majored in drama at high school and then in dance and music at Kobe University. She performed in Toru Shimazaki’s contemporary dance works, Patch Work, Here We Are, and Run. Yui obtained professional ballet training at the Royal Academy of Dance (RAD) under the tutelage of Owen Montague and Joannes H. Nuyts, and she was awarded a prize for excellence in dance by the magazine Dance Dance Dance (DDD) in 2008. Yui holds BFA, Dance from York University in Toronto and Kobe College in Japan. She had performed at Nuit Blanche, Fringe Festival, WE DAY, Dance Ontario Dnace Weekend and Dance Matters a s a dancer. Yui has her career as an actress began with the film “Summer Days,” directed by Nobuhiko Obayashi, and she worked with the Hollywood casting director Yoko Narahashi. Yui was a heroine for the short film “Raptura” premiered in imagineNATIVE Film+Media Arts Festival at TIFF and ReelWorld Film Festival. In Japan, she produced the dance event, “Dance Kotoen: One Coin One Hour Theater” sponsored by Nishinomiya City to support youth dance artists and community since 2011. 2007: performed at New Zealand’s Sky Tower Chinese New Year Gala, choreographed opening piece for a TV show in Henan province. 2009: choreographed and performed at the daily news media release. choreographed “The Diary of My Mood” and participated in South Korea’s Soule International Dance competition, group choreographed “Red Light ” and participated in Germany’s “NO BALLET” international choreography competition. 2011: participated in choreography and performance of the epic dance poem “Red”. 2013: Winner of SPARK dance competition contemporary category in Toronto, Canada. Canadian dance artist and performer Brendan Wyatt was born in rural Saskatchewan. He started dancing at the age of four and later spent nine years training at Canada’s Royal Winnipeg Ballet School and The School of Toronto Dance Theatre. One of the country’s most sought after independent artists Wyatt has performed in a multitude of professional works by several companies and choreographers nationally and internationally. Wyatt has been a core member of several Toronto based companies including The Chimera Project, ProArte Danza, Dreamwalker Dance, Bouchardanse and blackandblue dance projects. In 2008 he was a founding member of The Dietrich Group with Director/Choreographer DA Hoskins and dance artist Danielle Baskerville. In 2010 he was the recipient of a Dora Mavor Moore Award for his performance in this time an aldheid production by Heidi Strauss. In 2011 Wyatt was nominated for outstanding choreography with Andrea Nann for their full length evening Beside Each Other. Yuliya started dance training from early childhood in Shanghai, China. She got Chinese folk dance training in China Welfare Institute Children’s Palace, and later was select into Oriental Little Companions Collective. During her dance journey with the little Companions, she continued enhanced her Chinese folk dance technique, as well as exposed to jazz and ballet. She performed in many large shows, and these abundant dance experience gave her a solid dance foundation. After she moved to Canada, she was inspired by the culture here, and desired to learn different dance styles. Therefore, she spent several years in street jazz and hip pop dance training in Toronto. Now she is a street jazz dance instructor at Dantitude Dance Studio. She has performed on Canada National TV’s New Year’s Gala at Sony Center, and has been invited as a guest performer in many big events. 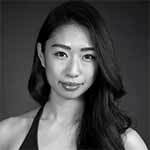 Toronto native, Melissa Yang, graduated from York University with a Bachelors of Fine Arts Specialized Honours in Dance. As Captain of the York Dance Team, she led the team to victory at many competitions including her own choreographed and danced solo Idioteque, which won second place. Growing up, Melissa always held a love of ballet in her heart. She would proceed to dance the role of Marzipan in Xing Ballet Theatre of Canada’s Nutcracker. Following that, she became one of the original dancers with the contemporary ballet company, Cadence. Branching into new avenues, Melissa began to train in the aerial arts. She has performed for Jason Dinetz and for Rue Morgue’s Frankenstein Formal, and Seven Crown’s Tattoo Bold Will Hold. As a contemporary artist, she has performed with Lindsey Ritter and Evoke for events at Pearson Airport and the Choreographer’s Ball. Most recently, Melissa was the featured aerialist for Japanese Opera singer Yumi’s music video by Time Warner. She has danced for Luther Brown, Linda Garneau, and Dean Ifill. Other credits include Toronto Rock, Elizabeth Grant The Big Give, CBC’s Arts Alive!, and Mean Girls. Cindy Yip graduated from the Beijing Dance Academy with excellence then further trained at the Central University of Ethnicity in China. Exploring other Asian dances, Miss Yip performed in traditional Korean style with the Mi Young Kim Dance Company for 5 years. In 2011, she received mentorship from contemporary Japanese dance artist, Keiko Kitano, and studied other contemporary techniques with support from Ontario Arts Council’s Access and Career Development Grant. She is currently a dance committee member at the Toronto Arts Council.